Pulling off an unforgettable Bachelorette party for your bestie is a legendary notch in your friendship belt. However, it’s not always a walk in the park. Much like the wedding itself, you’re managing a variety of personalities with different opinions and schedules. The key to success? Start early, research, and be flexible to feedback! We recommended a month before the wedding. With this timeline, all the excitement and momentum carries into the big day, but it won’t stress out the bride. Although most of the details should be kept a surprise, be sure to consult your bride on the guest list. Our advice: don’t invite anyone who isn’t coming to the wedding, don’t invite moms without asking and do invite future sister-in-laws! You might think it’s epic to go clubbing, hire strippers or draw penises on the bride, but just make sure that’s what she’d want. The bride may be more into wine tasting, a concert or a low-key backyard party. If you’re not sure, just ask her! 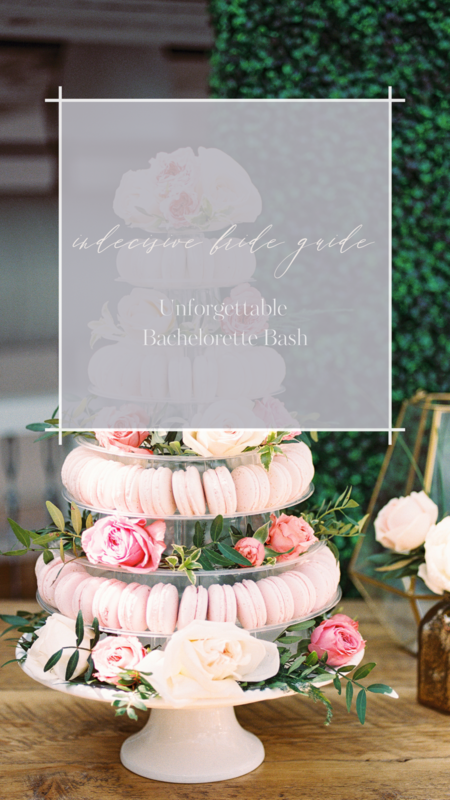 The Bachelorette party is a major highlight in a bride’s life and it’s important that she feels happy, supported and in her element! Discuss and negotiate the party budget with all attendees and be very clear, because the bride shouldn’t pay for much, if anything! Traditionally, the bride’s costs are absorbed by the wedding party. Once everyone has agreed on date and budget, send out those Save the Dates! Depending on the plan, you may want to consider hiring transportation ahead of time. Champagne should be a big part of the story, not impaired driving! If your bride is on social media, come up with a clever #hashtag but check with her first. Again, she may not want her boss witnessing her keg stand, even if it is her special day! Need some event-planning assistance or fresh inspiration? Give us a shout at info@jacquelinerae.com. We want to make your bachelorette party or wedding shower come to life!